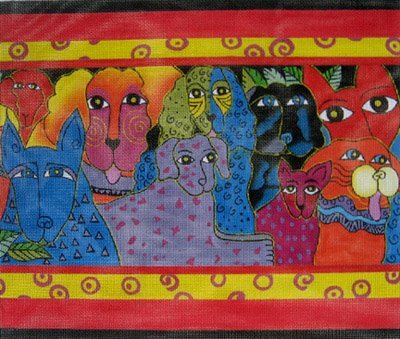 A stunning needlepoint design by Laurel Burch and Danji Designs called Canine Clan depicts dogs in bright colors. The design area measures approximately 14" x 12". If you require stretcher bars we recommend a pair of 18" and a pair of 16" bars and some thumb tacks.